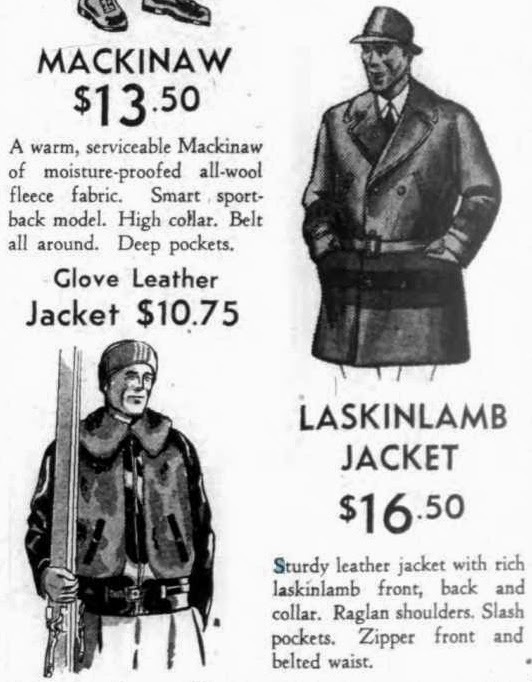 The peak of the Laskinlamb Jacket's popularity came in 1937. 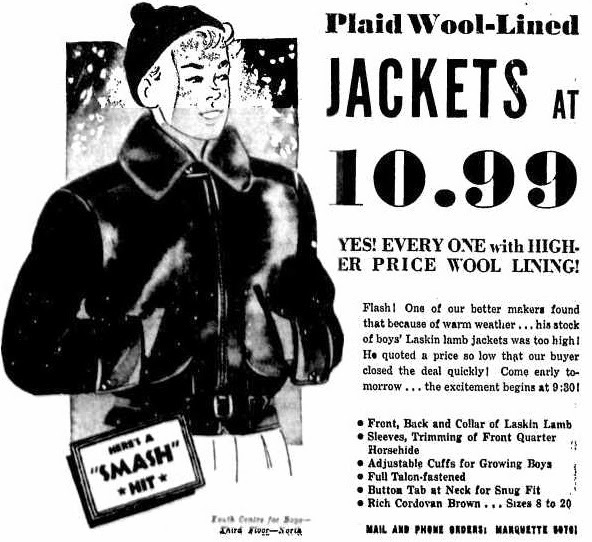 By 1939, the style shows up in almost no advertisements. 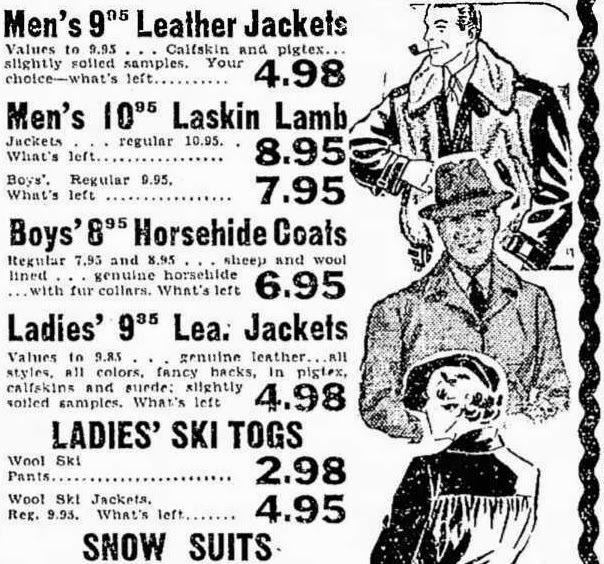 By 1940, stores were selling off their remaining stock at deep discounts. While other jacket styles evolved quite a bit over the course of the 1930s, by its demise, the Laskinlamb jacket had changed very little. With such expanses of mouton fur, I suppose there's less territory to play with. The biggest changes from maker to maker were the cuff and shoulder styles. 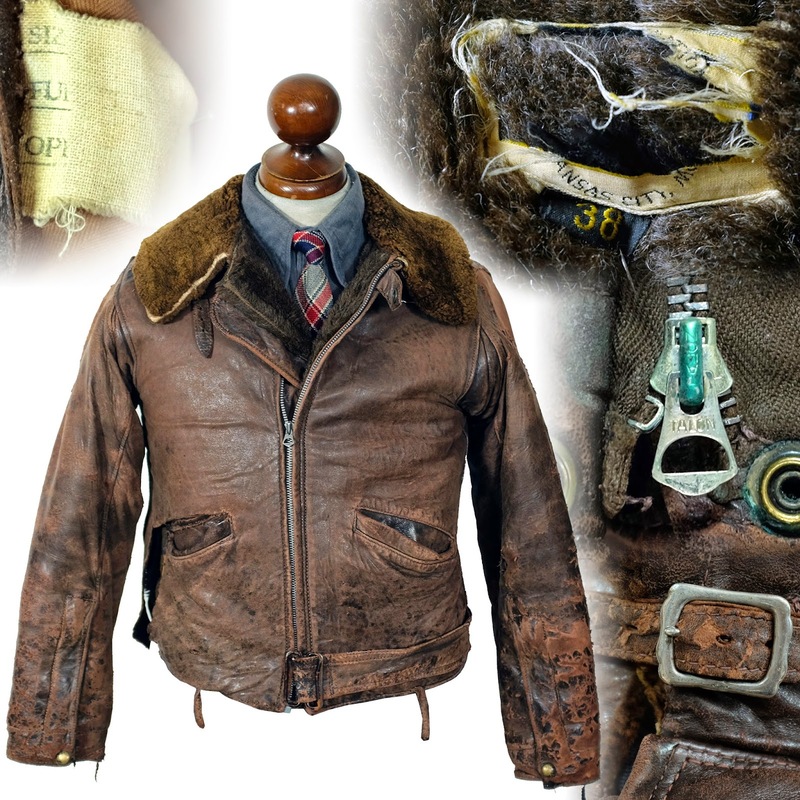 An all leather Cossack jacket has more opportunities to play with pocket styles. 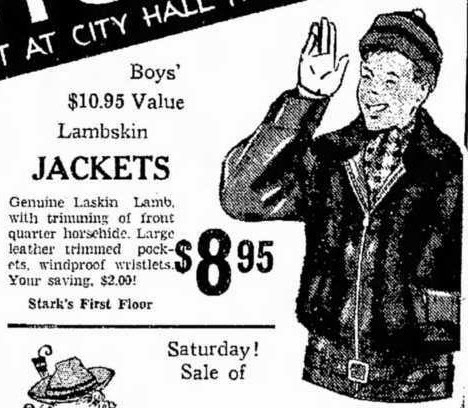 The full mouton backs of these jackets limited the possibilities for the design expression found in the pleated, belted and buckled backs of all leather jackets. 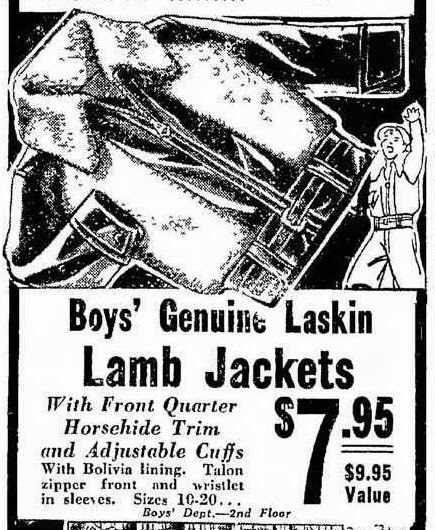 With the style waning, WWII, and the need for sheepskin in flight suits was likely the final nail in the coffin for the style. Lakeland attempted to revive the Grizzly after the war, but it was little more than a blip. Skiing and snowball fights, the Grizzly's natural habitat.